Safe to say, there is a lot going on in all of them. The words The Guardian have been lifted slightly to leave space between them and the four fine rules which separate the masthead from the splash headline below. The typography is restricted to two shades of blue and black. However, today (7 February) – bang! All the clutter is back, and the colour palette for the typography has been wildly expanded. It’s a design which is obviously evolving. 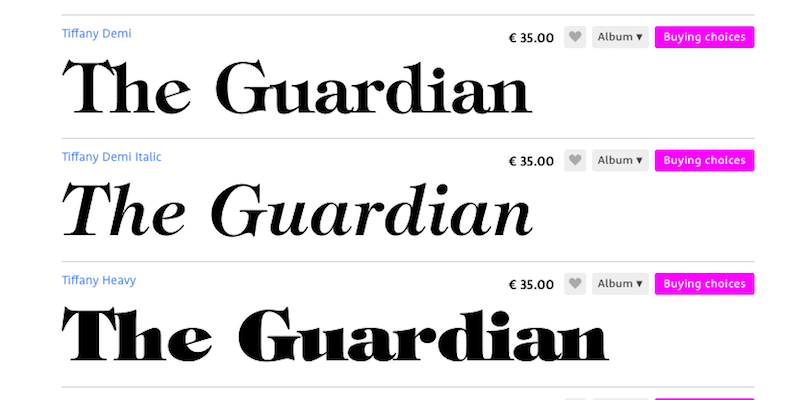 I know the individual letterforms aren’t much the same, but it is the overall effect which immediately reminded me. Each to their own, I suppose.